James J. Jeffries was the heavyweight champion of the world from 1899 to 1905 but he is best known to history for coming out of retirement to take on Jack Johnson, the first African American heavyweight champion in history, in what was called “The Fight of the Century”. That fight ensured Jeffries’ place in American history as Johnson is a significant figure in not only sports history but in the social history of the United States for his role as a mirror on and lighting rod for racism. Jack Johnson was not the first black boxer Jeffries had fought. 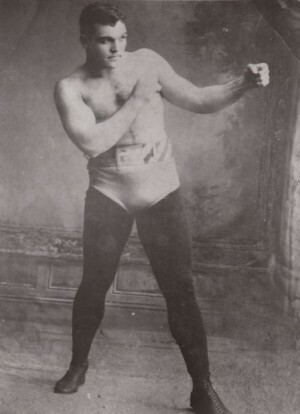 On his way up through the ranks he had fought and beaten such notables as Hank Griffin, whom Johnson had failed to beat in three fights, and Peter “Black Prince” Jackson, the Australian heavyweight champ who had fought future heavyweight champ ‘Gentleman Jim (1942)” Corbett to a draw in 61 rounds in 1891. It was Jackson’s first defeat in 13 years and he retired shortly after. His victory over the black boxer Bob Armstrong, the “King of the Battle Royal”, won him a title shot with Bob Fitzsimmons, the Cornishman from New Zealand who had beaten ‘Gentleman Jim (1942)” Corbett for the world’s heavyweight title. Though Fitzsimmons was the favorite, the younger and heavier Jeffries knocked him out in the 11th round. 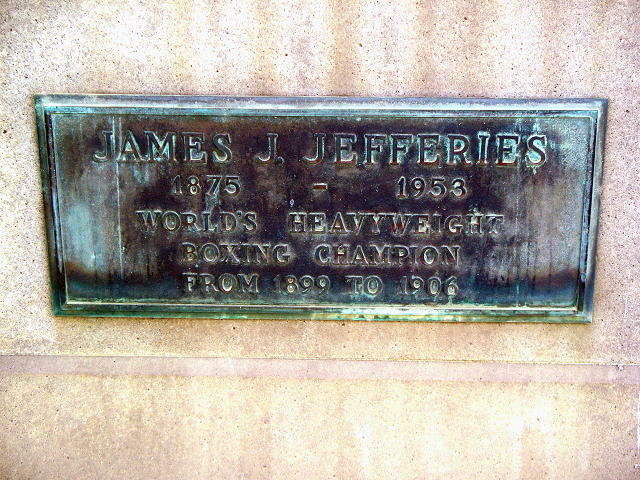 Jeffries would later successfully defend his title against the top heavyweights, including Corbett, but he did not fight a black challenger. Interestingly, the black light-heavyweight Sam Langford, who was denied a title shot by Jack Johnson, advertised he would take on any boxer in the world, except for Jim Jeffries. The left-handed Jeffries, in those first years of “scientific boxing” pioneered by Jem Mace and Corbett, fought from a crouch and was able to inflict and absorb terrific punishment. In a rematch with Fitzsimmons, the Cornishman had cut both of Jeffries’ cheeks to the bone, opened up cuts over his eyes and broke his nose, and Jeffries still managed to knock him out. Jeffires broke the ribs of three of his opponents, including Gentleman Jim. Jeffires had refused to fight Jack Johnson after he won the “World Colored Heavyweight Championship” in 1903. Blacks had not been allowed to fight for the heavyweight championship after James L. Sullivan, “The Boston Strong Boy, the bare-knuckle champion who refused a title match to Peter Jackson and “Old Chocolate” George Godfrey, a Canadian who had emigrated to Boston. By refusing to meet Johnson in a title match when he was champ, Jeffries kept the color bar in tact even though it already had been broken at a lower weight class. Joe Gans had become the first African American to win a title belt when he became lightweight champion in 1902, but when Johnson became the heavyweight champ in 1908 by beating Tommy Burns, racist white Americans were outraged. The hunt for “The Great White Hope” to reclaim the title for Caucasian America was on. Uninterested in assuming “The Great white Hope” mantle, Jeffries was not an avowed racist and really did not want to fight any more. 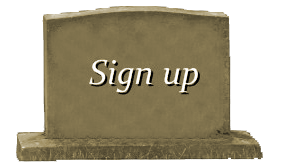 Like Rocky Marciano after him, he had retired as an undefeated champion. Unfortunately, he came back for more and forfeited his spotless record and Marciano remains the only undefeated heavyweight champion in history. Jeffries was goaded into stepping back into the ring to face Johnson by such people as the writer Jack London. Sources say he was offered an unprecedented $120,000 (approximately $2.8 million in 2012 dollars) to fight Johnson. The former champ was out-of-shape and had to burn off 100 lbs. 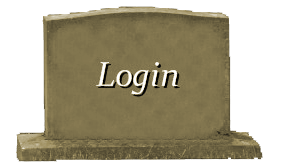 to get down to fighting trim. In their match up on the Fourth of July in Reno, Nevada, Johnson knocked him to the canvas twice, something that had never before happened in his illustrious his career. Jeffries’ corner threw in the towel at the start of the 15th round to prevent the former champ from the humiliation of being knocked out. Johnson won a $65,000 purse (approximately $1.5 million in 2012 dollars) in his title defense. News of his victory touched off celebrations among black folk across the country and sparked race riots in 50 cities in 25 states. (“Race riot” at the time meant a white-on-black conflict, “riots” that were initiated by lynching-minded whites.) Twenty-three African Americans and two whites perished in the riots, and hundreds more injured. A movie made of the match, “Jeffries-Johnson World’s Championship Boxing Contest, Held at Reno, Nevada, July 4, 1910 (1910)”, received wide distribution, but many local politicians stepped in to ban the movie from being shown in their bailiwicks, lest there be more violence. Even former President Theodore Roosevelt, a sports enthusiast, came out against the distribution of the movie in particular and boxing movies in general. (T.R. was friendly to the aspirations of colored people; at the time, the Republican Party — the Party of Abraham Lincoln — was the political home of African Americans.) Congress banned the interstate transportation of boxing movies in 1912 (a ban not repealed until 1940). 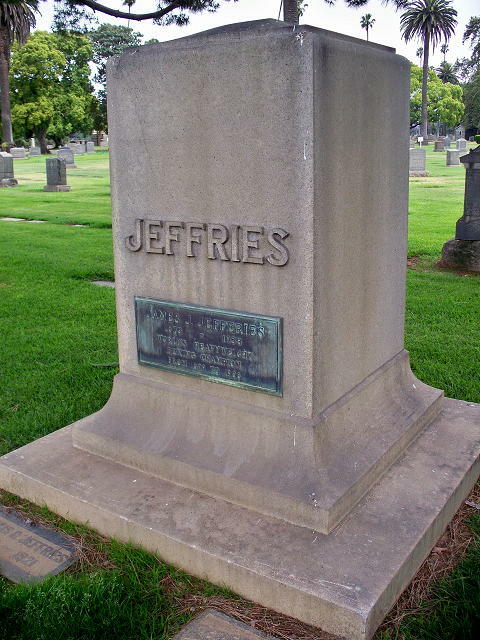 Jeffries retired back to his alfalfa farm in Burnbank, California but kept his hand in the fight game as a trainer and boxing promoter. He died in 1953 at the age of 77.